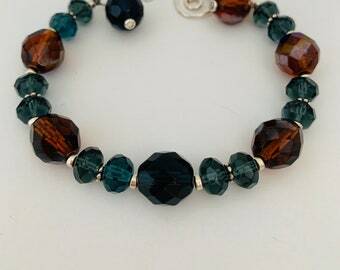 I love the way the colors in these faceted Chrysoprase beads range from light green to copper. 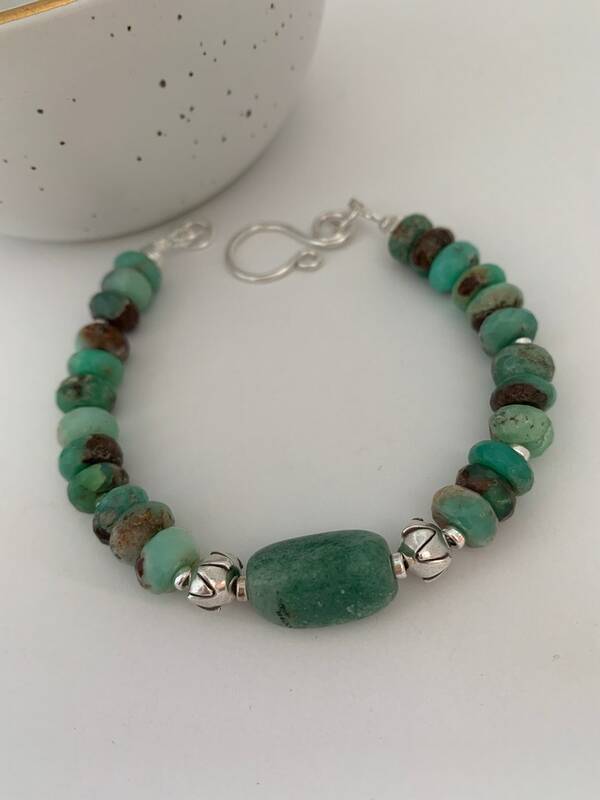 To highlight them I anchored the bracelet with a pretty green agate bead, then added sterling silver accent beads and 2 handmade Karen Hill Tribe Thai silver beads. The clasp is a handmade silver hook to make it easy to fasten on your wrist. My wrist is 6.5 and you can see from the photo that there is room for plenty of movement. Chrysoprase is a natural variety of chalcedony shot thru with nickel, purported to promote joy and happiness while helping heal the heart of depression and anxiety. Even if you don't really believe in its mystical powers, it's still a very pretty stone. All of my jewelry is designed and handmade by me in my home studio in Montana. I love how quick these were and especially how gorgeous they are. I requested big ones, they came and were too big for me and Sue cut them down and resent them to me- free of charge! Her amazing french hook makes them even cooler. Wonderful quality!! These earrings are absolutely stunning! The perfect size and lite weight. Love these, just wish the ear wires were a little stronger they are soft and bend easily I am worried they may break. All orders in the Continental US are shipped USPS first class within 1 day of ordering. 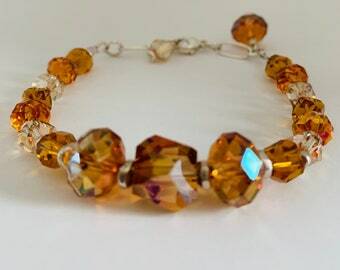 I design the bracelets to comfortably fit my wrist, which measures 6.5 inches.